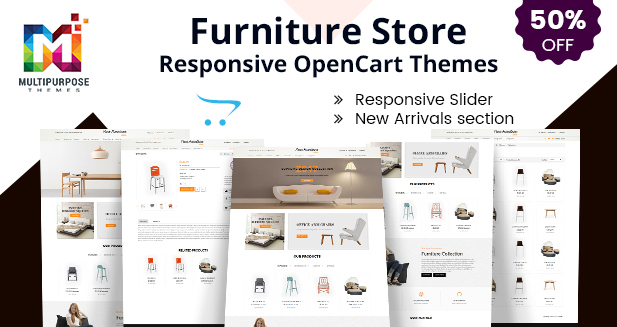 This Responsive OpenCart 3 Theme is suitable for small to medium business owners who have their online store. Responsive OpenCart theme with simple and cool features.  Fully Responsive Theme Responsive Slider Responsive Hero banner HTML 5 and CSS3 Google Fonts Multiple Currency supported Multiple Color options available. It shows a list of a category of your product when a user clicks on a sidebar with using cms module. Open Cart is fully user-friendly. Page builder gives the option to create your own homepage with simply using drag and drop features. Create own other pages design like account,contact us and design for this pages for your own choice. OpenCart provides approx 25 ready shortcodes with page builder so you can create easily your page and layout. This Documentation serves as a resource to users. When a user needs direction in navigating the OpenCart interface. So, the user can easily access your website. 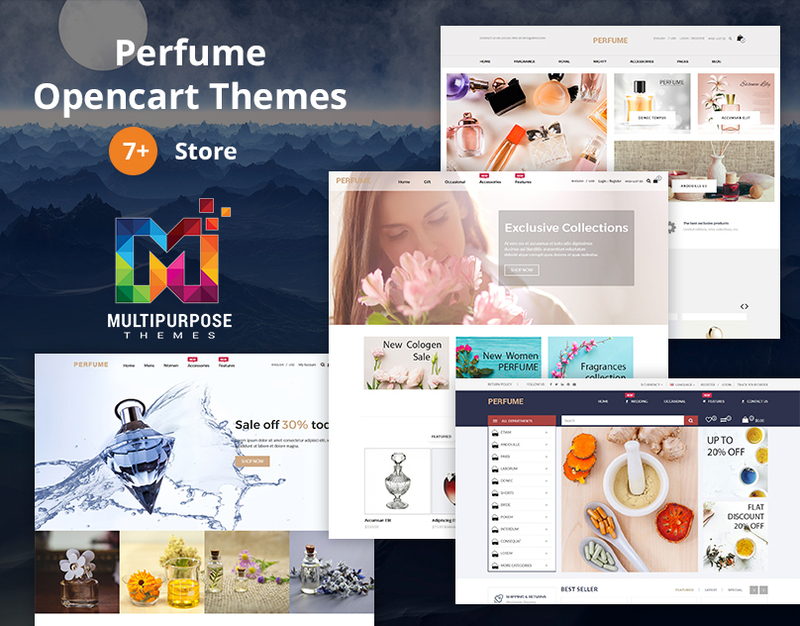 It’s compatible with OpenCart version 2.3.x in this Responsive OpenCart 3 Theme. This layout is fully responsive to all devices Like SmartPhones, desktop,Laptop etc. A benefit of a responsive layout is it’s open easily on any devices and fit all screens. Products Tab Slider Hover Effect OpenCart module allow show product on your homepage, each with a selection of products: Special Products, Latest Products, Best Seller Product, and Categories. 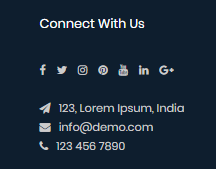 This module gives you to add/update/delete newsletters to send you via OpenCart and it gives dropdown selection for added newsletters and it also gives your all details of your products. Banners are pictures containing linkable images displayed in the storefront.Banners can be utilized to catch the customer’s eye. And It supported slider module so it’s quickly caught customer’s eye. 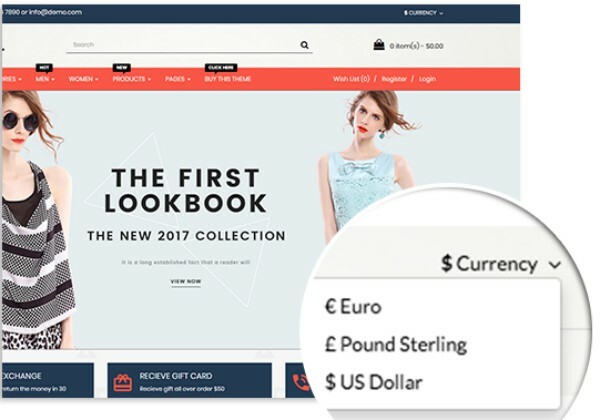 This Responsive OpenCart 3 Theme support a Multi-currency feature.So, a user selects his own country currency When he purchases your product. OpenCart provides awesome latest fonts Library So, choice as per your requirement. 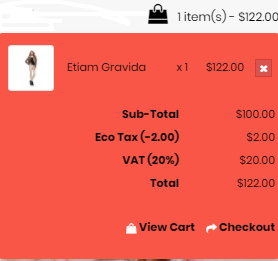 This feature is best for users because it’s adding your product in a shopping cart without reloading a page. 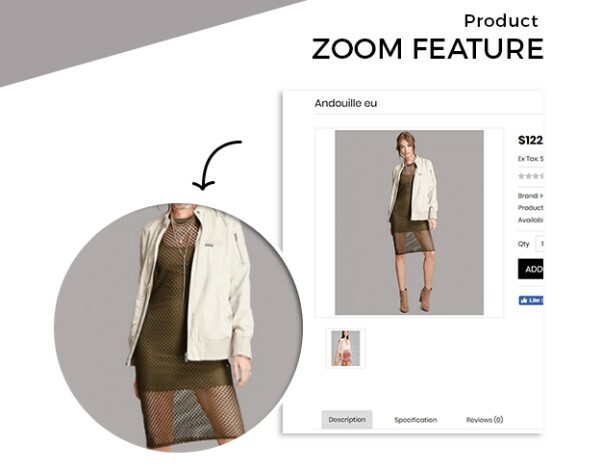 Product Image is Zoom and popup when user clicks on their image. 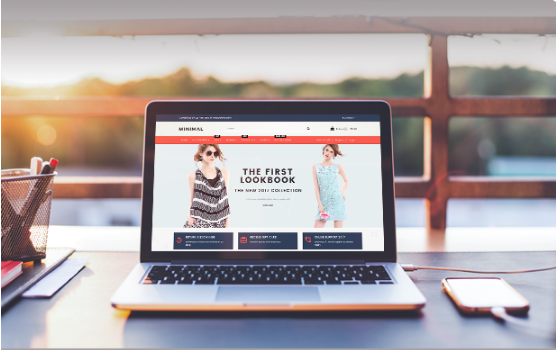 This feature is fit for any kind of online store so you use for this features for make good website. 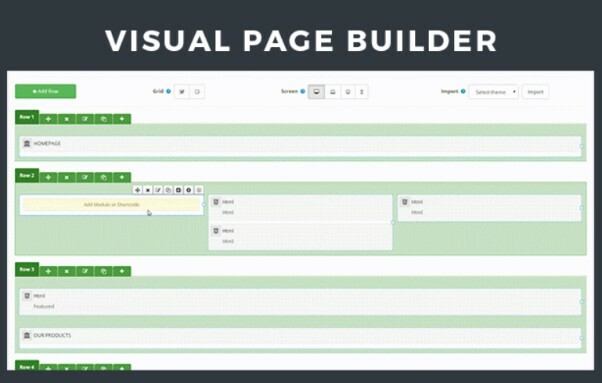 Page Builder is to help you create page and layout easier just in minutes with drag and drop feature. 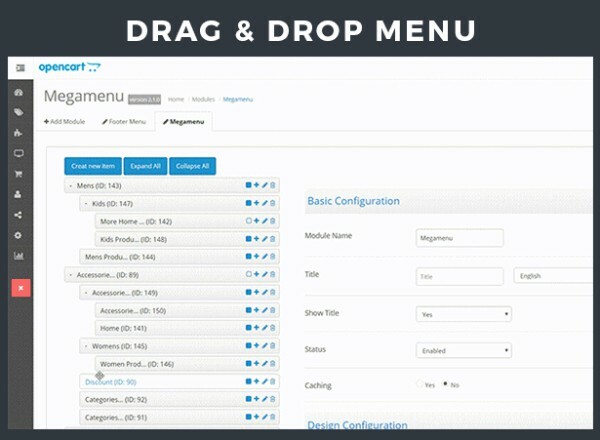 Mega Menu module allows you to arrange many header menu items in different columns. Customers can easily receive a lot of information and images just by hovering your header menu. Testimonial Module is the module for OpenCart by which customer can give their feedback about the site or product or any services. With the help of Image gallery module, admin can add/manage images into various gallery according to requirement with using page builder.